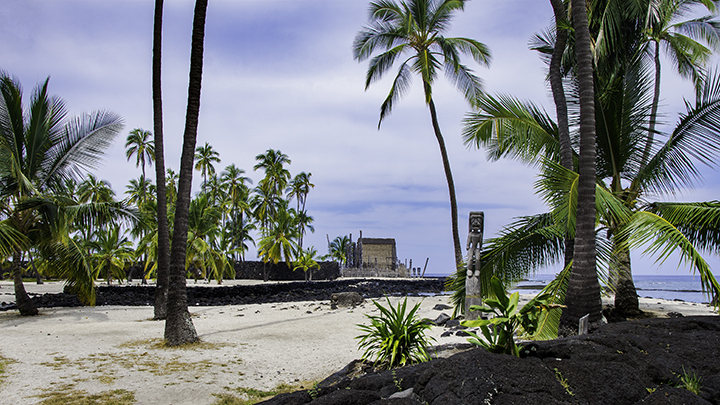 Puʻuhonua o Hōnaunau National Historical Park, where you can get a glimpse of ancient Hawaiian lifestyle. To truly appreciate Hawaii and understand the beauty of its heritage, it is important to look into the past. By doing so, you’ll get a glimpse what old Hawaiian lifestyle must have been like. According to tradition, the first people came to Hawaii somewhere between 200 and 800 AD. This is when Polynesians landed their voyaging canoes on Hawaii’s shores. This occurred more than 1,000 years before Captain Cook’s ship arrived in Hawaii in 1778. 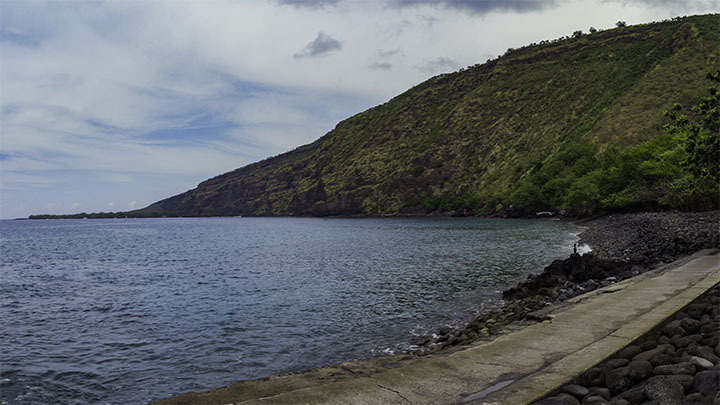 Kealakekua Bay, where British explorer, Captain Cook, was killed. Hawaiians are distinct from other Polynesians cultures in numerous areas. Unlike other Polynesians, early Hawaiians created and maintained loko i’a or shoreline saltwater fishponds. Their horticultural skills were more refined. For example, they artistically adorned gourds, bowls and containers in magnificent intricacy. Hawaiians also have a distinctive language. The Hawaiian language, consisting of only 13 letters, is one of the oldest languages in the world. It’s also one of the most melodious and fluid of tongues. Christian missionaries helped convert the language into written form so native Hawaiians could read and write. 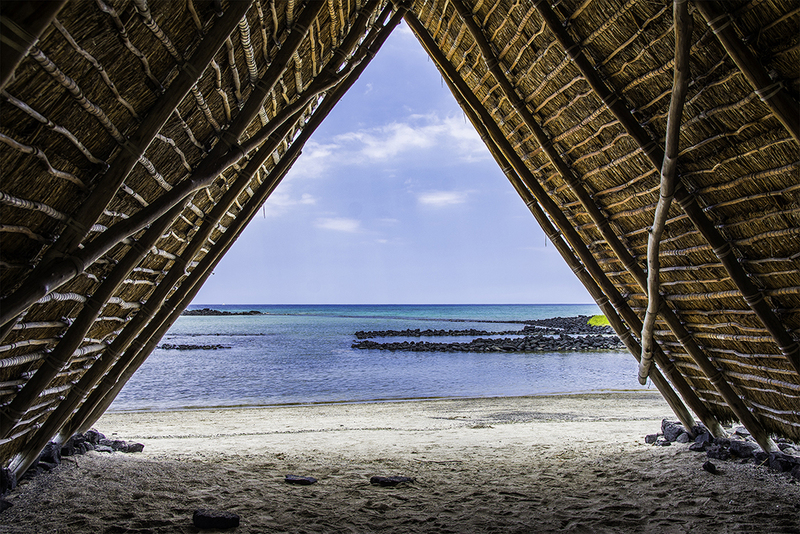 View of ancient fishpond from a reconstructed Hawaiian hale (house). Ancient Hawaiians memorized lengthy oli or chants that were part of their oral tradition. These often consisted of Hawaiian folklore, legends and histories. Often, hula dances accompanied them. The hula dances came with music, chanting and movement corresponding to depictions of nature. Hula dancing remains an integral part of Hawaiian culture today. Ancient Hawaiian lifestyle was very active with people engaging in a wide variety of sports. They designed games for community participation. Such sports ranged from foot races to darts, arm-wrestling, tug-of-war, spear throwing, wrestling, swimming, surfing and canoe-racing. The spiritual aspect of early Hawaiians was deeply integrated into their culture. They considered certain animals as personal or family gods or aumakua that would appear in visions or dreams. These were spiritual or heavenly beings that could take a physical form to warn or protect them. Religious practices were an important part of ancient Hawaiian lifestyle. Ancient Hawaiians built numerous heiau or places of worship. They usually built them using lava rock, wood or thatched pili grass. They also placed wooden figures representing gods or ki’i around the heiau. According to tradition, around 1200 AD, a Tahitian kahuna or priest, Pa’ao, came to the Hawaiian Islands. Later Pa’ao brought Pili-ka’aiea to Hawaii. Pili-ka’aiea was a chief who began the royal line leading to Kamehameha I and started a 700-year dynasty. Pa’ao established the first temple of human sacrifice. He introduced Kuka’ilimoku, the war god, and Pele, the goddess of fire and volcanoes. Pa’ao also created the social order separating the highest of society from the lowest. The social structure of Hawaii was similar to a caste-system. It came with kanawai or strict rules and laws to determine if something was kapu or forbidden. The system ranked royalty, chiefs, and royal advisors in the highest class. While the kahuna or priests and skilled professionals were in the next rank. Commoners or maka’ainana, who were mostly farmers, craftsmen and fishermen, would have to bow to chiefs and royalty. This is because they possessed more mana or divine power than them. The lowest members of the society were the kauwa. Usually, they were slaves, prisoners of war or those of indistinct birth. The kapu system ensured the separation from the classes. It was a key element in ancient Hawaiian lifestyle and culture. For example, if someone broke a kapu, they were subject to immediate punishment. However, if they were able to reach a pu’uhonua or a place of refuge, a priest could pardon them. Unfortunately, the kapu system caused many Hawaiians to suffer under such extreme religious conditions. The common people had no say over what would happen to them or who ruled over them. As an example, common women faced death for eating bananas, coconuts and other kapu foods. Similarly, if a common man accidentally trespassed on the land of a royal, he could then be killed by any means. The kapu system continued for centuries until it was finally abolished in the 19th century. It happened when King Kamehameha II ate food publicly with the dowager queens Ka‘ahumanu and Keōpūolani. This was an action that had been kapu for centuries. But this act of defiance encouraged men and women to eat together. And as a result, it eventually led to the downfall of the traditional Hawaiian religious practices and the entire kapu system.